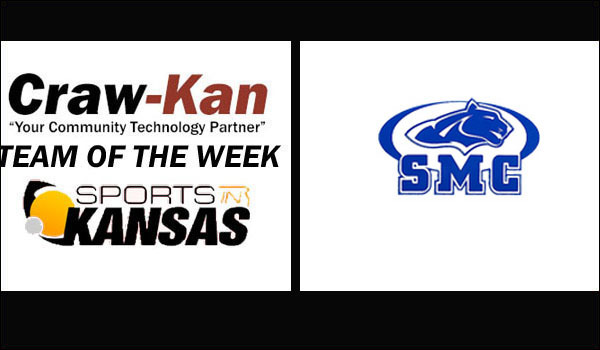 The Craw-Kan "Your Community Technology Partner" Team of the Week from the Southeast Kansas area is the St. Mary's Colgan Panther volleyball team. The Panthers, led by head coach Cathy Oplotnik, entered the 2A state tournament in Hays with a 43-0 record. The Panthers would win their pool play without dropping a set. The Panthers would lose to Wabaunsee in the semifinals and Smith Center in the title game. While the season didn't go as planned at the state tournament, the Panthers have a lot to be proud of for their CNC league title, sub-state championship and unefeated regular season before the fourth place state finish. Seniors Cecelia Stockard and Kenzie Venneman earned All-Tournament team from the Kansas Volleyball Association on Saturday. Craw-Kan would like to congratulate the Panthers on an outstanding year.